Trying to upgrade to a healthier lifestyle? Meet the ‘superfood’-Matcha- the purest form of Japanese green tea powder. 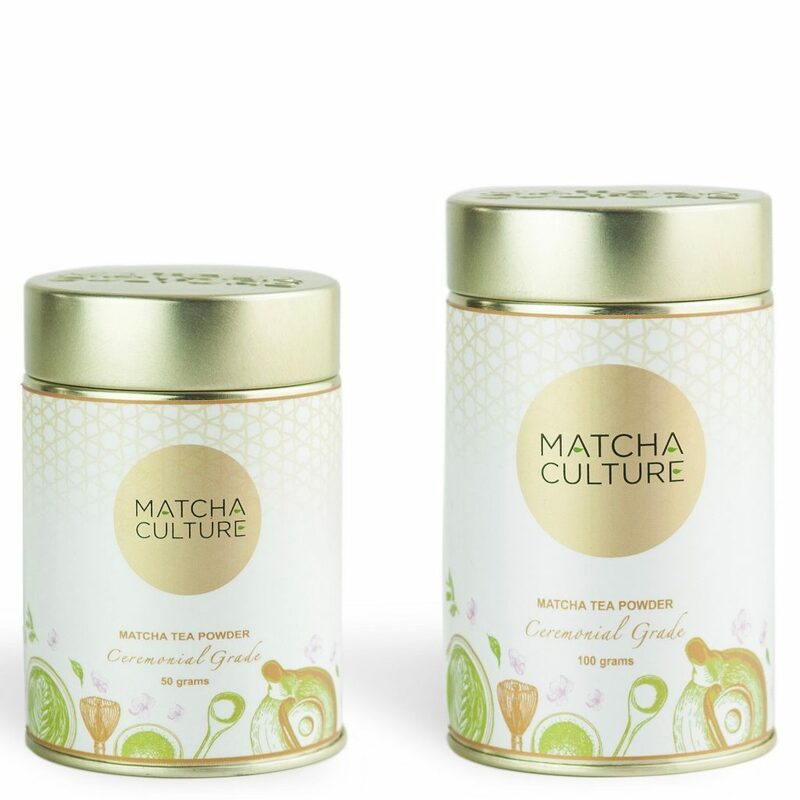 Made from the leaves of Camellia Sinensis- the same plant as green tea, the intricate process of growing and preparing matcha sets it apart, with unparalleled nutritional benefits. The tea leaves are shade-grown, ensuring maximum levels of chlorophyll, giving matcha its vibrant green colour, and a rich, vegetal taste profile. Our tea experts take utmost care to ensure that only the most tender and freshest leaves are hand-picked, dried and stone-ground into a delicate powder, with minimal processing. Unlike most other teas, consuming matcha means that you consume the whole-leaf powder, making it one of the healthiest teas in the world! This tea comes from Kyoto’s farm-hills that are only accessible by foot, ensuring that only the freshest and purest tea powder reaches you. Our company sources high-quality matcha powder for you, straight from the farmlands of Kyoto, Japan. Matcha has been an integral part of the Japanese culture for decades. It has been attributed as one of the factors for the long life expectancy of the Japanese. Lately, it has gained popularity across the globe as it is enriched with numerous health benefits! 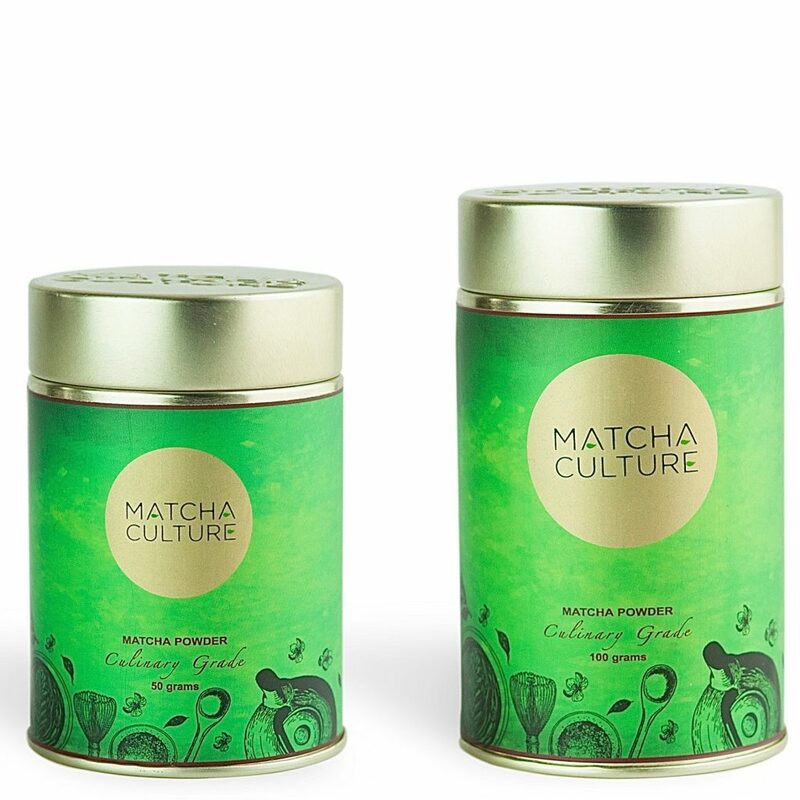 We, at Matcha Culture, believe that you deserve a daily detox and cleanse. Our dedicated team of tea enthusiasts is here to ensure your wellbeing. We aim to imbibe the Japanese culture of drinking matcha in India. Come join us in our endeavour of creating a Matcha Culture! Our matcha comes in 3 grades- Ceremonial, Premium and Culinary. The grades vary based on the growing conditions, the time of harvest, and their processing methods. Matcha is used in a wide variety of food and drink recipes- to make teas, smoothies, milkshakes, lattes, cakes, ice-creams, chocolates, or even bread! Whether it’s baked, heated, frozen or blended, matcha can be used to create brilliant flavours and outlandish recipes. 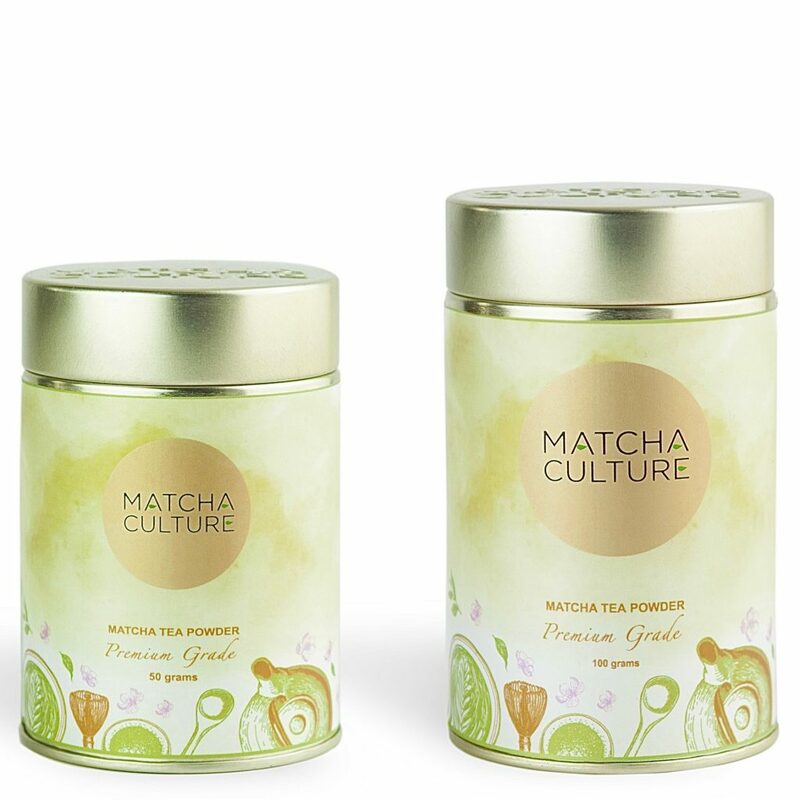 Our purest and finest matcha grade which is packed with maximum nutrients and has a delicate flavour profile. 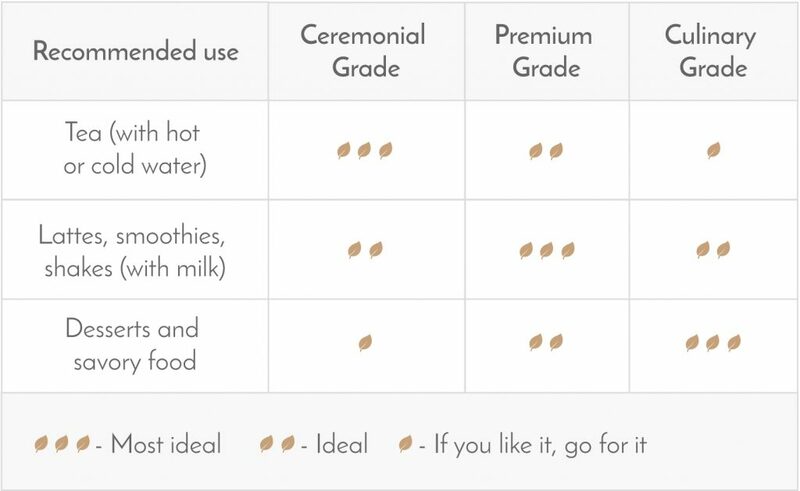 Our in-between grade has its multi-purpose usage for both food and drink recipes. Love eating over drinking? Food enthusiasts can add this to sweet/savory recipes for a healthy, guilt-free treat. "Great product, I feel energised the whole day after having my cuppa morning matcha." "I totally love the premium grade matcha, works well for tea as well as my morning smoothies." "I have been looking around for matcha for months now. I am so glad to finally find some good quality matcha available in India!"